I had taken a few weeks off because of my hand injury. But now I’ll be pretty scarce until probably late March because…. 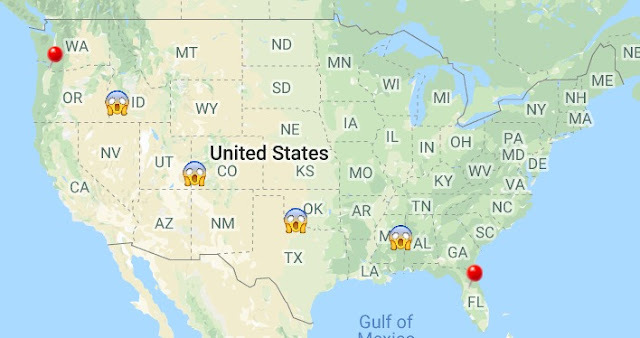 Kevin got a job in Washington State so we’ll be leaving Florida and driving out that way around early March. It’s a mad rush to get our house ready to put up for sale, purge all our crap, pack what’s left and plan for the actual 6-ish day road trip with Fonzi and Figment. And it’s been stressful knowing I have to say goodbye to the house I’ve lived in for almost 20 years and renovated to my tastes. We’re moving to a 2 bedroom town home so we need to get rid of A LOT of stuff. I feel like I’ve been going through the five stages of grief. At first I was resistant and sad but now I’m also taking in to account the good things and new opportunities that will come out way. We did live near Seattle in the 90's and have a friend that lives nearby so it's not entirely new to us. Kevin will have a great job and we’ll be living somewhere that’s absolutely gorgeous with lots of outdoor activities and we’ll be close to Portland, Oregon and Seattle, Washington for a taste of city life. And no more hurricanes or 90 degree, 100% humidity summers! So, for obvious reasons, my reading & blogging will be limited but I should be able to finally learn to read audiobooks with 6 days of being in a car non stop! 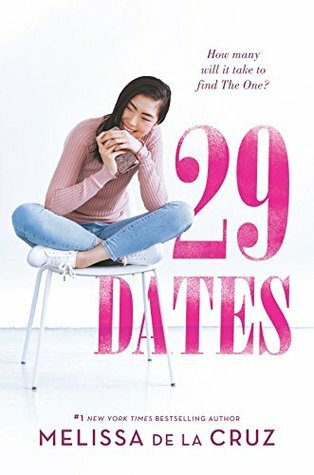 Speaking of – I did just finish the audiobook of 29 Dates by Melissa de la Cruz and it was pretty cute. Navigating her host family, her new city and school, and more dates, Jisu finds comfort in taking the photographs that populate her ever-growing social media account. Soon attention from two very different boys sends Jisu into a tailspin of soul-searching. As her passion for photography lights her on fire, does she even want to find The One? And what if her One isn't parent and matchmaker approved? Jisu was adorable and I think this is one of those cases that I would have been annoyed with her if I was physically reading the book as she got baffled by boys and pressure from her parents – but liked her more by listening. It was a light, fluffy read. And in exciting news! If you recall – I won a copy of Death Prefers Blondes on Goodreads and I was pretty sure I was never going to get it but Feiwel & Friends came though and I DID!! Hopefully, I’ll have some time to squeeze it in. That’s it for now – things to do and all that! I’ll try to pop in a visit you all here and there. What are you reading this week? Give me some suggestions for audiobooks I should consider. Wow Karen, what a massive move! I know how daunting moving is so I can't imagine the stress of not only moving with Fonzie and Fig but having to downsize as well. What an incredible adventure and new chapter in your lives though Karen. I'm so excited for you both! Please keep us updated on how it's all going, such amazing news! Karen, this is amazing news!!! I'm so excited for you!! I dream of moving to Washington state - that is awesome. Even though right now will be a pretty crazy time for you. I hate packing and moving with a passion, so I feel for you there. Good luck with all of the purging and getting ready...and the trek across the country!! So very exciting! It's gorgeous. I think it will be worth it in the end. Just stressful right now. I HATE moving. And OMG you are moving!!!! But but you are Florida to me! Florida is beautiful but yeah those humid summers would kill me lol. I imagine WA will be a little more moderate haha. Wow! That's a huge move. My friend made the same move a decade ago, and now that she is coming back to the east coast, she says she's going to miss WA. I hope you have a smooth move, a safe trip, and that you grow to love your new home. We drove out there (and back) years ago when Kevin was in the Navy. We didn't have as much crap then though lol and the Navy does everything for you. Moving to the other side of the country is no small feat! Hopefully Figment will do just fine with the trip. My husband and I have talked about moving in that direction at some point. He loves Oregon and I'm sure I would prefer the weather there to this southern kind. Best wishes with your move. I'm excited for you! Thanks. Fingers crossed about Figgy. Whooaaaaaa! What a big change but so exciting! I wonder how long it'll take you to acclimate to the weather there. Which city are you moving to? Seattle has always had an issue with the homeless. Even when I lived there 30 years ago they didn't have a handle on it. So I can't even imagine now with the impact from Amazon. Oh wow, that is a HUGE change, my goodness! But I feel like Washington is a good place to live, and since you have spent some time there hopefully it will be a really good change for you all! I am moving in about 2 weeks (only an hour away so nowhere near as daunting as your move!) and I have been trying to watch Marie Kondo, but instead I end up crying while trying to thank my old junk for its service and it is just... not going great hahah. Good luck with the move!! Haha, I love your stream of terrified emojis. Of course I already knew about this via Twitter, since I always stick my nose where it doesn't belong LOL. So, first off...I seriously admire the two of you. I'm afraid to even cross the street, and you're doing THIS. Also...I have questions. But of course I have 😂. 1) how did Kevin manage to find a new job all across the States? Is it with the same firm he was working with? and he will finally stop working those crazy hours, I suppose? 2) is the house you're moving to temporary, or are you planning to stay there? (On a side note...how did you even manage to buy/rent a house without seeing it in person? I would DIE LOL). I wish you all the best with your epic move, and I hope you're going to have a smooth journey (Figment notwithstanding LOL. Poor thing). 1) He's been looking for a while now and this just happened to come up - found it online. He works for a utility company and peruses the job boards. New company - same job but more responsibility but ironically less hours. They have a better management infrastructure so it won't all be on him to fix EVERYTHING. 3) I purged A LOT of books but they'll just go back in my book scases once we get settled. I'm lucky, in that, I'm not a big collector of things. Our biggest struggle right now is getting the house ready for sale. It was really sudden and it's hard to do while working and all the other things we have to get ready for a big trip like that. We weren't too far from Bremerton the last time! And yes, you'll know where to find me if you are ever out that way! Wow that is a long journey and a big move! I imagined the nightmare of what I'd be like packing up all my stuff...I'd need one truck for just my books and bookcases! Mind you it would help me clear out some of my junk! If I was living in America, Oregon or Washington would be my choice. Such scenic locations! The thought of the scenery is what I'm using to keep me motivated! We're right near both ocean and mountains with bigger cities within and hour. Oh wow, how exciting. I look forward to hearing how you like the new place and new surroundings. I hope you post some pictures. I will!! I think you follow me on IG right? I'm sure I'll be posting the trip as we go and here when I can. Wow, that is a big move! Good luck with it. Congrats on the new job. Oh wow, congratulations to Kevin on the new job! It's a big move for sure but that's great you're not unfamiliar with the area and you know someone near by. You'll be in a good spot to visit other places too, like you said!! How exciting. 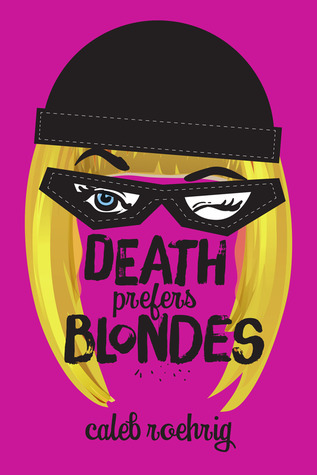 :) Yay for getting Death Prefers Blondes. I need to read that one! Love Caleb. It's been along time since we've been out there so I know it's different now but yeah - I am somewhat familiar with what it's like so it's not AS scary. Oh gosh! That is a big move. I wish you well. Welcome to the Pacific Northwest. I think once you get adjusted you will enjoy it. I moved from Phoenix to Portland. I love the summers here, but the winters aren’t my fav. Still you will do great. Hang in there! I'll freeze to death my first few winters but I won't miss our summers for sure! I would be terrified too. I have lived in the same region my entire life and I've been in my current house for 23 years. The thought of leaving would be 90 parts terrifying and 10 parts exciting. Good luck with Figment and everything else! My percentages slide depending on the day (or hour lol) you ask me. We used to move a lot when Kevin was in the Navy but we've been here for over 20 years. 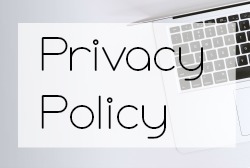 Argh I have been having so much trouble commenting on Blogger blogs. It's like Blogger has put me on a list since I stopped using them. I commented through Bloglovin but it's not showing up here. In any case, I am SO excited for you (except that road trip) and can't wait to hear about the trip, your new house and everything!! Holy crap that's a long ways to move! I can imagine it's difficult, but I'm glad there are some great things to look forward to! Good luck with all the moving stuff! OMG that's awesome! My sister lives in Vancouver, WA and my mom and I are hoping to join her sooner rather than later! We're going to have to drive with a dog and two cats and we have no clue on how to do that! We need to find pet friendly hotels along the way that's for sure lol. Holy crap! That's awesome, exciting and terrifying! 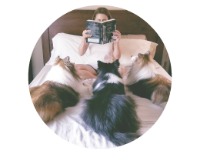 A week in a vehicle with furry creatures... I'd need a month to recover from that one! I can't even imagine doing on the back of everything else involved in moving! Sending lots of luck and patience to you in the coming weeks and congrats to your husband on his new job. I wish I could offer you audiobook recommendations but I'm still learning how to work those too... The Rick Riordan ones seem to be quite good! I'm listening to the Heroes of Olympus series and it's going well. Good stories, non-annoying narrator. Win! I'm late to this post but that move sounds exhausting and you've not actually started the actually journey yet. It will be great, though, I think new things can be awesome, even though it means big changes. It will be a whole new adventure which will be worth it in the end. I'm so happy for you! We moved with 5 dogs, 3 cats, 2 guinea pigs, and three kids, so I know the feeling! ;) It took everyone a month or so to settle in and reestablish boundaries, but we're getting there. We also didn't move that far away! Good luck, and I hope audiobooks work for you. If not, that's a long car ride. I don't know if you're like me, but reading in a car makes me super sick. It's audio or nothing!